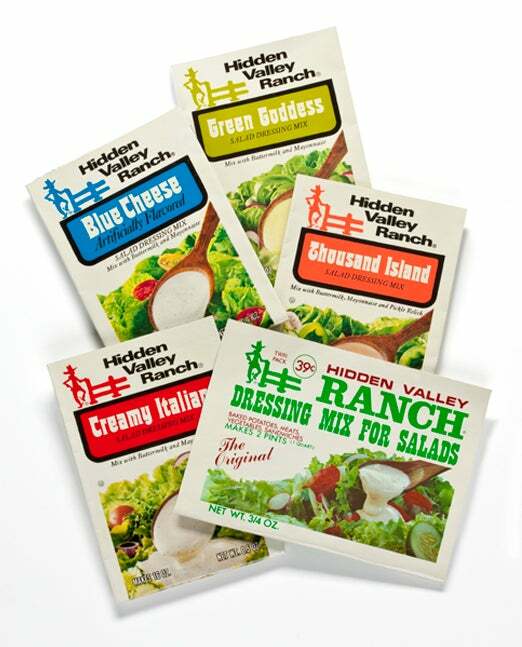 On October 30, 1972, The Clorox Company bought a small mail-order dressing business called Hidden Valley® Ranch. Forty-five years on, the Hidden Valley brand has grown far beyond its rural California beginnings. Ranch is a category all its own, a flavor beloved the world over, and not just on salads. 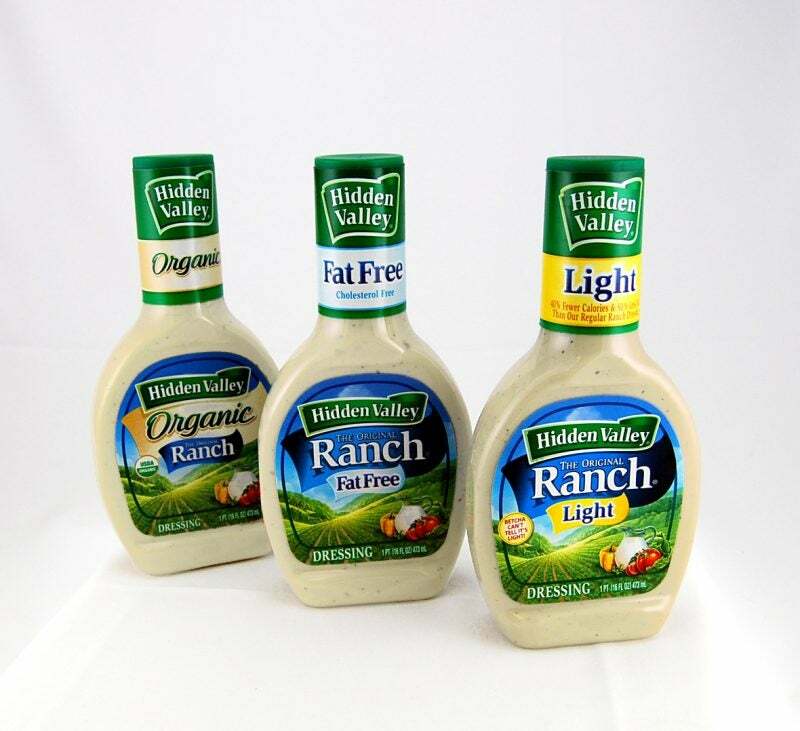 Take a look through the images below and see how the Hidden Valley brand has evolved through the years — both in packaging design and in the flavors offered. Throughout, this is a brand in touch with its time. See our company timeline here. Nobody at Clorox remembers this character’s name — even some of the real old-timers I called. We call this fellow the dancing cowboy. I always loved the name Party Dip. It clearly describes what this is best as. It’s one of my favorite products we have! Party Dip is still one of our most popular dry Hidden Valley items, though it’s just called Hidden Valley Original Ranch Dips Mix today. 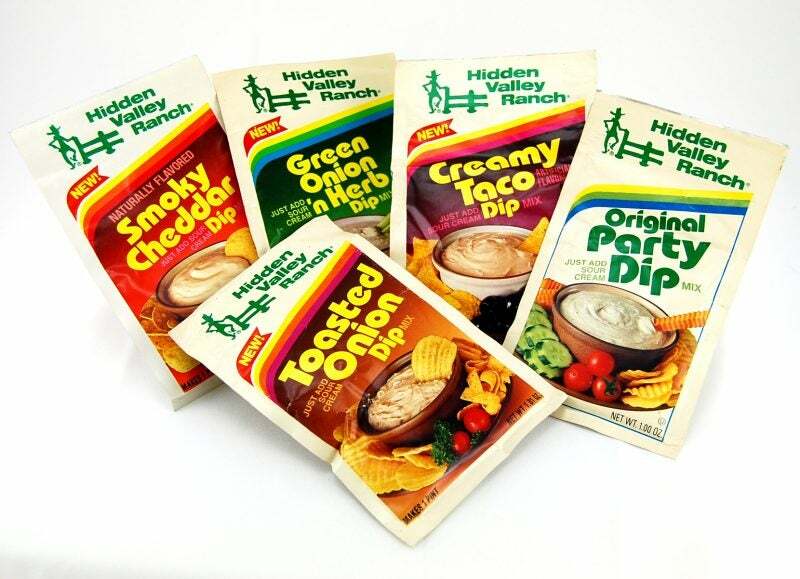 Hidden Valley Ranch “Party Dip” package with the dancing cowboy. We refer to this as BMO (Buttermilk Original). When we bought the brand in 1972, BMO was the biggest seller by far, and it’s still the standard for the food service channel. But now MRO (Milk Recipe Original) is by far the biggest dry seller in retail stores. Hidden Valley Buttermilk Ranch Dip, also known as BMO. We still have the Blue Cheese and the Creamy Italian formulas going in the food service channel. Thousand Island and Green Goddess are long gone. The Blue Cheese is the tastiest blue cheese on the planet, in my opinion, and I’d love to bring it back to retail. 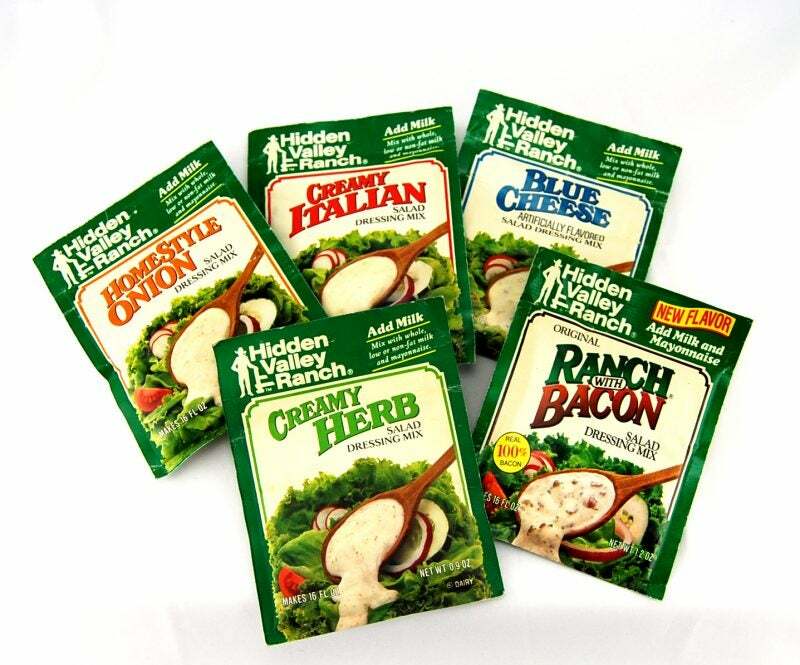 Hidden Valley Ranch dressing packets from the 1970s. Some of these flavors still exist; others are history. 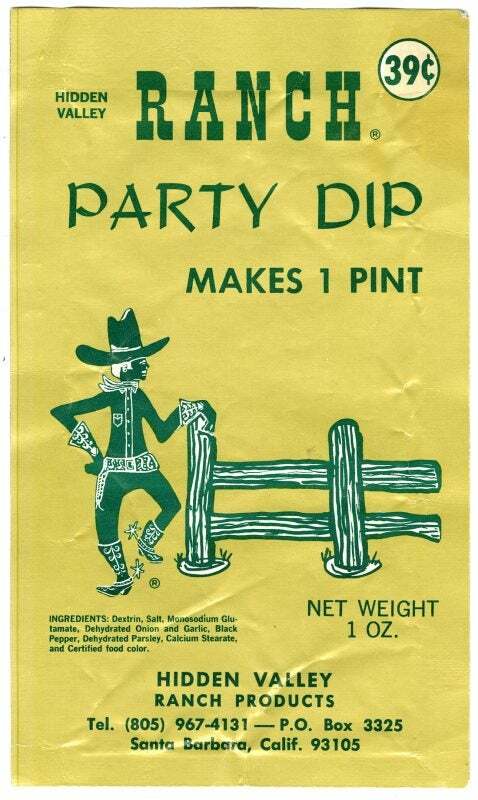 We used to have a huge lineup of dry dip products. Our dry products all get mixed with sour cream instead of milk and mayonnaise. The Creamy Taco flavor is still around and really, really good. It’s now called Fiesta Ranch. Check out the ’80s graphics on these party dip flavors. 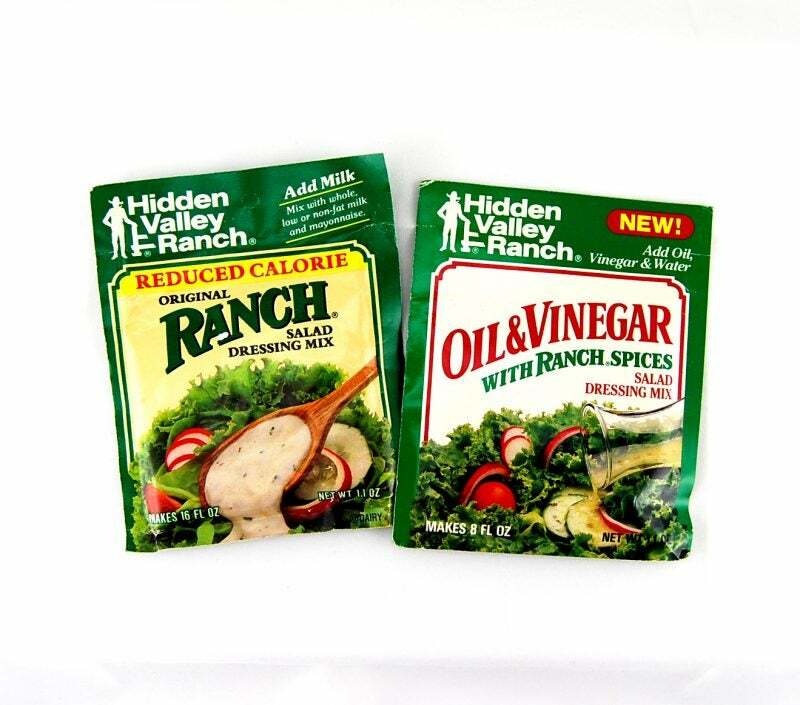 We no longer have a Reduced Calorie Dry product, but if we did it would be called “light.” Oil and Vinegar Herbs and Spices Dry Dressing Mix is still sold in the foodservice channel. 1986. Low-calorie dressings and vinaigrettes were a bona fide fad in the mid-1980s. Most of these flavor dry mixes are gone now. We had lots of issues years ago with the bacon poking through the pouches. Compare these flavors from 1986 to the ones popular in the 1970s. 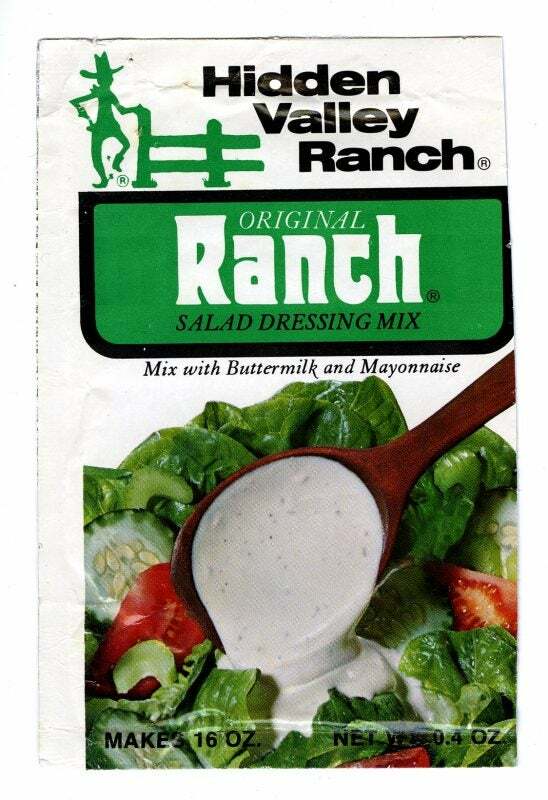 We introduced our first bottled salad dressings in 1983. 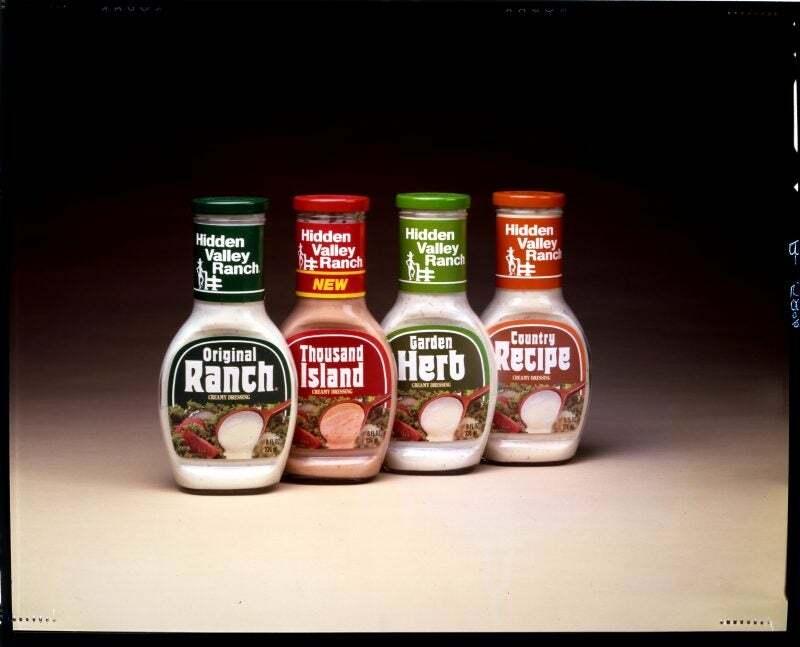 A lineup of the first bottled Hidden Valley Ranch dressings. 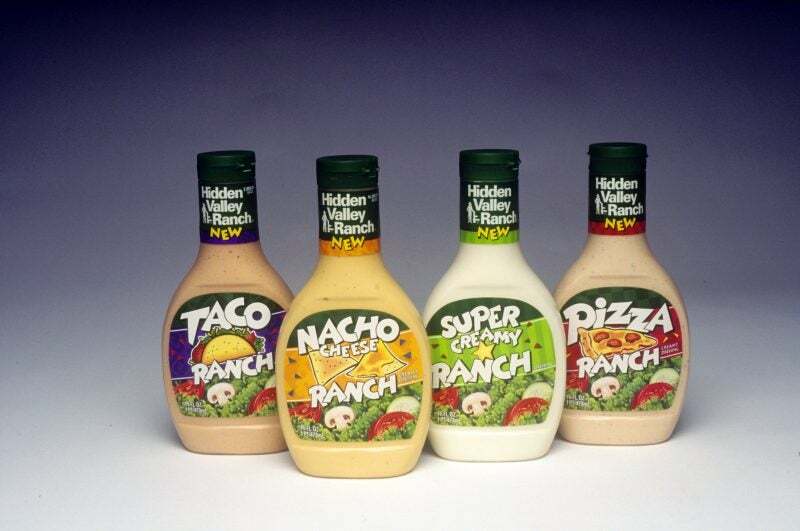 Hidden Valley Ranch tried out some wacky flavors in the 1990s. The three formulations shown below are still in stores today. By the 2000s, consumers were looking for lower-fat and organic dressing options. Today, ranch is a flavor rather than just a dressing or dip. We’ve got a range of popular flavors and continue to innovate to give consumers more of what they love. 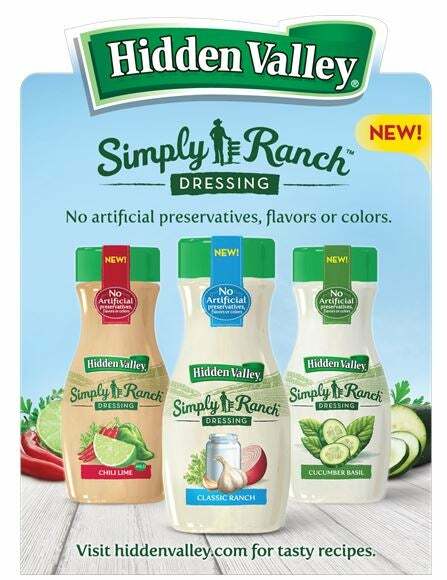 Introduced in 2017, Hidden Valley® Simply Ranch™ appeals to consumers seeking ranch flavor without artificial colors, flavors or preservatives. About the author: Prior to his current role, Curtis Stettler was a Product Developer in the Foods product development group for over 20 years. He developed most of the KC Masterpiece® BBQ Sauces, Marinades, and Seasonings, in addition to a few Hidden Valley® products.